Shop at Pip's Cafe Press Store for all kinds of things with several different variations of our GEGR logo. From clothes to license plate frames you can show your support for greyhound adoption and help raise money for GEGR at the same time. Want even more variety? Check out Pip's Zazzle Store! With a more diverse selection of items, from iPad cases to neck ties, there is something for everyone who wants to share their GEGR spirit! Change your search engine to Yahoo!-based Good Search. Choose GEGR as your charity of choice and earn money for the greyhounds every time you search the web! Sloppy Kiss Cards are high quality animated ecards for dog lovers. You get to select and name the dog that stars in every ecard you send. The Sloppy Kiss Cards dog gallery features a Greyhound! When you sign up enterGEGR31 in the ?charity code? field and Sloppy Kiss Cards will donate 25% of your sign up fee to Greyt Expectations Greyhound Rescue! Support Greyt Expectations Greyhound Rescue just by shopping online for brand-name stuff at over 587 well-known online stores. Get free deals and coupons just by being an iGive.com member. If you join iGive.com and make a purchase within 45 days, iGive.com will donate $5 FREE to your favorite worthy cause! Join I-Give to Support Greyt Expectations Greyhound Rescue It's FREE, private, & easy. Shop the Mall at iGive.com You'll see familiar stores like Land's End, the Gap, L.L.Bean, Barnes&Noble.com, Expedia, and Office Depot to mention just a few. Watch the $$ roll in for Greyt Expectations Greyhound Rescue! Up to 26% of EACH purchase gets donated! Get involved with Six Degrees of Donation. Raise $1 for each new shopper you refer. Remember, shop within 45 days of joining, and get an extra $5 donation, FREE. 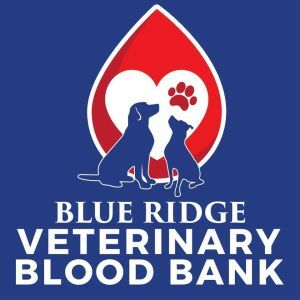 GEGR Recycles to raise money for the hounds. Cell phones and Ink cartridges -We collect cell phones, small electronics and ink jet cartridges to recycle through Planet Green and Phones 4 Charity. Reusable Shoes - Your old shoes can be cleaned up and offered to those less fortunate. GEGR collects shoes (no fuzzy slippers, flip flops or heavy boots) to send off to ShoeBox Recycling. They send us back $0.50 per pound to help the hounds. You can take items to be recycled to any GEGR event or contact us to see if we have a volunteer in the area that can pick up the items. GEGR is a participant in the Amazon Services LLC Associates Program, an affiliate advertising program designed to provide a means for sites to earn advertising fees by advertising and linking to Amazon.com. 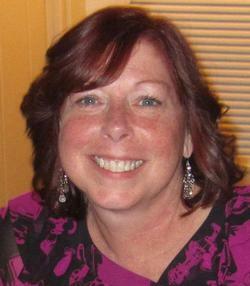 Carolyn was a beloved member of our GEGR family. Thank you to all who have donated to GEGR in her memory. Pat loved to come up and help process the new dogs. She was a wonderful lady and her GEGR family misses her very much. Thank you to all that donated in her memory. Kelley loved life and was loved by all. Thank you to all of her friends and family that donated to GEGR in her memory. Bill lived his life selflessly and spent much of his spare time volunteering for Greyt Expectations Greyhound Rescue. Thank you to all of his friends and family that donated to GEGR in his memory. Thank you to Maddie's Fund for supporting Greyt Expectations. A big thanks to the Mustang Club of Maryland for choosing GEGR as one of the charities that they supported in 2013! Pepper's Pet Pantry supports Greyt Expectations Greyhound Rescue. They offer wonderful products for pets and the people who love them. Boomerang Tags make the best dog tags we've found and they've supported our group with reduced prices for our permanent tags! 1 Factory Radio supports GEGR through Paypal Giving Fund on Ebay! 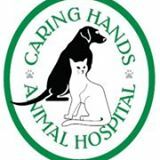 Caring Hands Animal Hospital supports Greyt Expectations Greyhound Rescue. Companion Care Veterinary Hospital supports Greyt Expectations Greyhound Rescue. 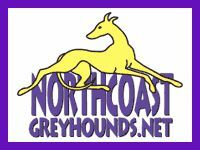 Northcoast Greyhounds is a wonderful organization that is dedicated to fundraising for worthy adoption groups and causes. Check out their auctions and stuff for sale! Slicks Greyt Booties donates a portion of your purchase to the rescue group of your choice. Xan's Art designed our wonderful Pip! Check out her beautiful artwork, including custom pet portraits! Skinny Hound Designs Suzie does all of our magnets, banners and decals! Sprink's rings and things offers chain maille and custom jewelry creations handcrafted for YOU by Sprink and Alan! Mickey makes beautiful collars and donates back to the adoption group of your choice. Gramarye Cottage Hounds is another excellent source for all of your fancy collar needs. Lovethatcollar is another greyt site for collars! TheScrappyMutt ...pillow dog beds, toys and the occasional quilt! Blue Spring Kennel specializes in Sighthounds, Greyhounds, Whippets, Borzoi, Italian Greyhounds, and Small Dogs 25 lbs and under. Blue Spring Kennel supports GEGR everytime an adopter or friend boards there. 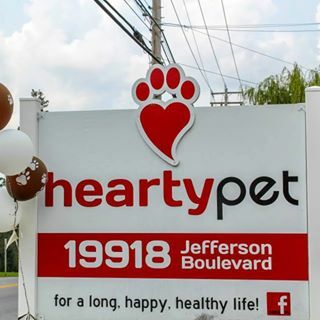 Hearty Pet in Hagerstown, MD supports GEGR with fundraisers and picnic donations. We must give so much credit for our success to Petfinder.com. This is the most wonderful organization that really finds the majority of our adopters for us. They charge us nothing for their priceless service and are tremendously helpful in any way possible. We are also lucky to have great suppliers: Pete Richard's,PetEdge, Birdwell Enterprises, Brocks Greyhound Supply, Rubit, Grizzly Pet Products, Houndstown, Dogs Speak,Greyhound Greetings, Pet Safe, Pet Supply Closeouts, Skinny Hound Designs, and our coat maker Terry Miller and our collar makers - Cindy Smith, Terry Miller, Joan Nussberger and Susan Clark among others! These suppliers allow us to offer quality merchandise for sale and in our adoption kits! REMEMBER -- All donations are 100% tax-deductable!